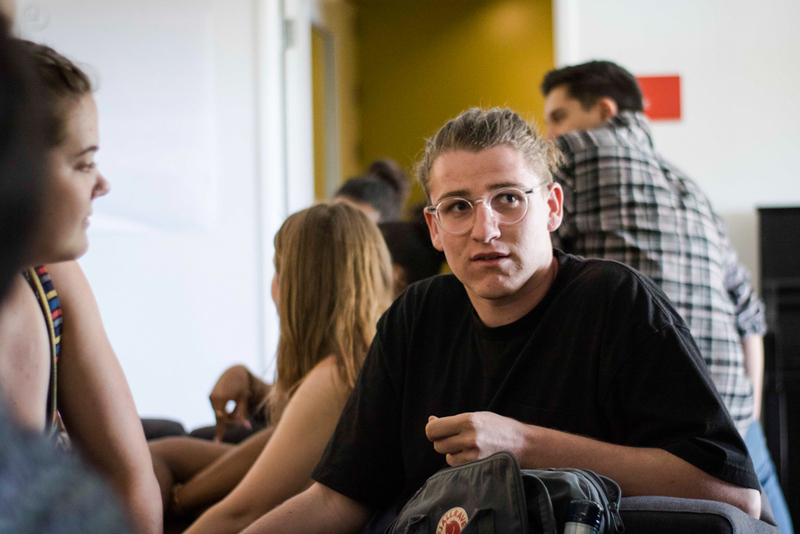 Associated Students of Occidental College (ASOC) representatives led by ASOC President Jacques Lesure hosted the first meeting for the ASOC Special Committee for Direct Action in Pauley Hall’s MLK Lounge March 29. The meeting, open to all students, aimed to determine membership for the special committee and to gather and mobilize students around direct actions informed by advocacy for marginalized students, according to an email Lesure sent to the student body March 28. “We must quickly solidify an inclusive set of demands, while also planning and executing direct actions,” Lesure’s email read. The special committee, formed by ASOC Senate vote March 27, comes in response to a series of revelations regarding the conduct of former board of trustee Jennifer Townsend Crosthwaite, her husband and donor Barry Crosthwaite, and honorary Occidental degree recipient Paul Popenoe, a known eugenicist. 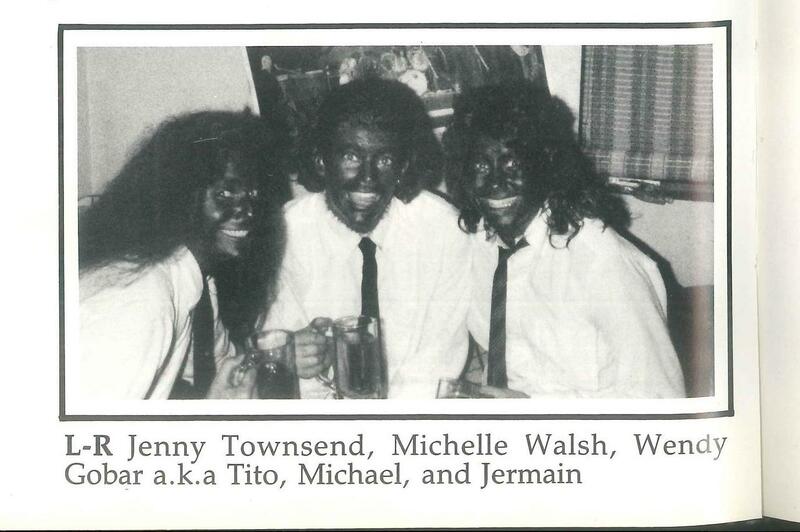 Townsend Crosthwaite resigned from the board of trustees Feb. 21 following the emergence of a photograph printed in a 1984 edition of La Encina that showed her and two other alumnae in blackface. President Jonathan Veitch addressed the photo in a campus-wide email March 8, which included an attached apology from Townsend Crosthwaite. The Occidental uncovered a photo March 9 of Townsend Crosthwaite’s husband, Barry Crosthwaite, in a 1980 edition of La Encina alongside four other alumni with the caption “The Aryan Alliance.” The Crosthwaites had given $1.5 million towards the De Mandel Aquatics Center, money which has since been reallocated for first-generation students and female athletes, according to an email sent by Veitch to the student body March 14. The new pool will also no longer be named the Townsend Crosthwaite Pool, according to the same email. In light of these revelations, ASOC student representatives hosted an open listening session March 22 in Lower Herrick. Students, faculty and administrators attended, including Veitch, Vice President for Academic Affairs and Dean of the College Wendy Sternberg and Vice President for Student Affairs and Dean of Students Rob Flot, among others. A student panel consisting of Lesure, ASOC Senate Chief of Staff Noah Schucking (sophomore), ASOC Senate Junior Senator Jagmit K. Dhami (junior), and Diversity & Equity Board (DEB) Student Life Liaisons Venitia Boyce (senior) and Maggie Smart-Mccabe (junior) led the listening session. Boyce provided a brief overview to contextualize blackface, anti-Semitism and eugenics before Lesure directed a Q&A session between students and administrators. Topics discussed included the timeline of administrative knowledge of the blackface photo, student opinions over Townsend Crosthwaite’s apology and a discussion of Occidental’s core values and institutional history in relation to events such as the 2015 AGC Occupation. Several students also said they were concerned about the reallocation of the Crosthwaites’ money, saying that the redirection of funds toward first-generation students and female athletes did not address the harm done to black students. In response, Veitch said that he did not have control over where the Crosthwaites’ decided to direct their money. He later clarified that he had encouraged the Crosthwaites to consider directing the money toward first-generation students, an institutional priority, and that he viewed the allocation of money toward black student initiatives as the college’s responsibility. In regard to Veitch’s comments, Lesure said that he was glad that the president seemed open to more urgent conversations regarding next steps. Ima Odong (sophomore), former DEB secretary and a member of the Student Labor Alliance (SLA) who attended parts of both the March 22 and March 29 events, said that the listening session made her realize that there had been a lack of student and community input concerning the reallocation of the Crosthwaites’ funds. She said she admired the resolve of students who voiced their concerns. Odong said she believes that one of the primary focuses moving forward should be community building. Chief Diversity Officer Rhonda Brown did not attend the March 21 listening session. Lesure said that he did not know the reason for Brown’s absence. Brown declined The Occidental’s request for an interview and said via email that senior administrators are working with faculty on next steps. According to Lesure, the March 22 listening session acted as the catalyst for the creation of the special committee and the March 29 meeting. He said that although the formation of the committee seemed more ad hoc than in the past, he felt that the informality would allow for wider student engagement. Lesure expressed optimism after the March 29 meeting. 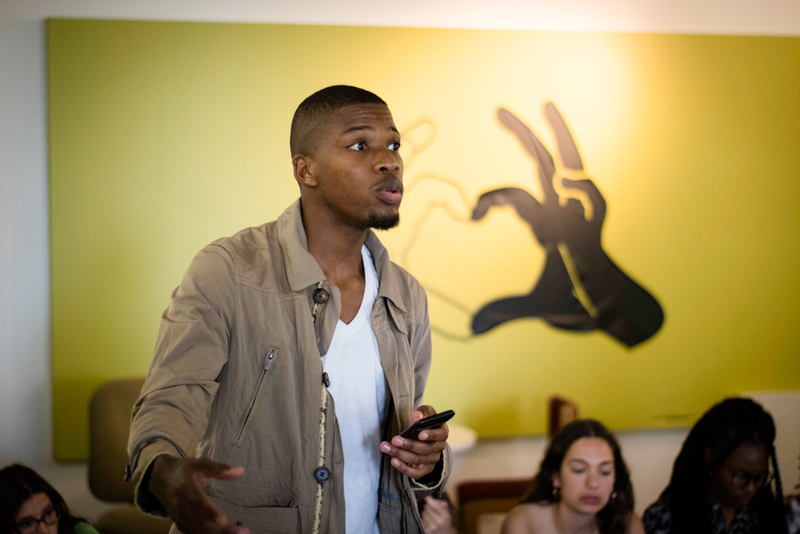 Lesure shared a document with the student body via campus-wide email April 1 outlining the direct actions brainstormed during the breakout sessions of the March 29 meeting. Proposed actions include the comprehensive reallocation of funds, the diversification of faculty across all majors, the elevation of Black Studies to departmental status, the rescinding of Popenoe’s honorary degree and the increased funding and development of black spaces and programs on campus. The document also links to professor of American Studies and Black Studies department chair Courtney Baker’s April 1 resignation statement, which calls for greater institutional support for the Black Studies program. The meeting also solidified membership of the direct action special committee moving forward. The chairs will be Lesure, Boyce, JT Tinsley (junior), Ronnie Doss (junior), Anjolie Charlot (first year), Jo-Anne Naarendorp (sophomore) and Ryley Goulet (junior). Charlot, a member of the Black Student Alliance’s (BSA) e-board, said that she joined the committee out of a feeling of necessity, and said that she viewed archiving student reactions and demands and solidifying institutional memory as the most important responsibilities of the special committee. Charlot added that she did not think the Crosthwaites’ money was reallocated in the best way. “I think that it’s interesting if you have the issue of blackface, and you’re trying to remedy that by giving money to non-black students,” Charlot said. Moving forward, Charlot said that students from all sections of campus would have to be involved in activism and that there would have to be a deep and painful reconciliation with Occidental’s legacy of anti-blackness, both historically and contemporarily. Charlot said that she was not confident about the reality of substantial institutional change, but that the work of the special committee and other student activists was still essential. Charlot added that she wanted the Occidental community to be cognizant of the emotional toll and potential administrative retaliation that student activists may be subject to. 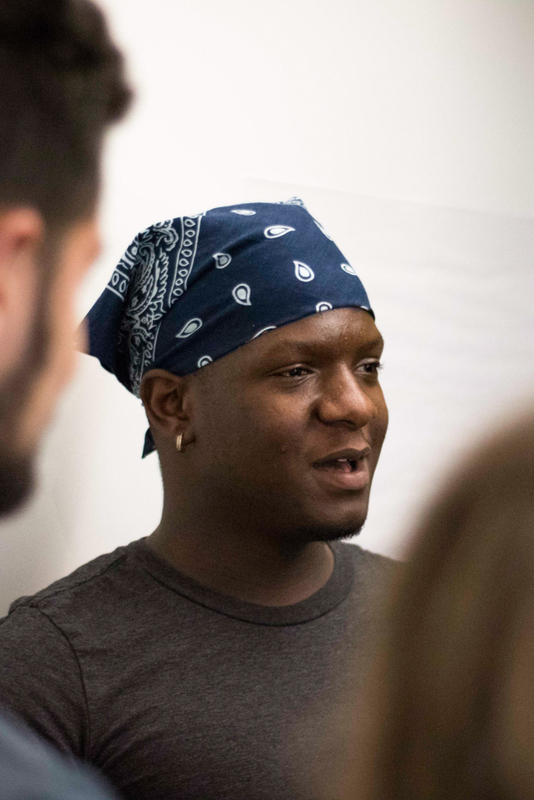 “Support black students, listen to black students, care for black students, and be mindful of how we, even in circles of resistance, put certain people in more danger than others,” Charlot said. All other members of the direct action committee could not be reached for comment. Reflecting on the March 29 meeting and the steps ahead in the remaining weeks of the semester, Lesure said that he hoped this could be a moment of total campus community engagement. Julian Willnow and Christopher Peel contributed reporting for this article.